If you are like most women, you wish your monthly cycle was a little more comfortable. More than likely, you have tried a variety of at-home remedies and perhaps even medications to make you feel better. One natural therapy we are often asked about for female reproductive system health is homeopathy. However, when women ask us about or tell us they use homeopathic remedies, we find they are actually referring to herbs and herbal supplements. While some homeopathic remedies are made from plants, this complementary and alternative healing (CAM) therapy is not the same as herbalism or nutritional therapy. Homeopathy or homeopathic medicine is a CAM therapy by which FDCA regulated homeopathic remedies are prescribed by homeopathists under three basic principles: like cures like, minimum dose and the remedies are always individualized. Unlike herbal and nutritional therapies, homeopathy is one of very few CAM therapies that treats symptoms rather than the root of the issue or imbalance. Conversely, through symptom control, homeopathy boosts the body’s ability to heal itself. Homeopathy was first described by Hippocrates over 2,500 years ago, but was actually founded roughly 200 years ago by German Physician Samuel Hahnemann and has been practiced in the United States since the early 19th century. 1. Like Cures Like – The word homeopathy is Greek and means “similar suffering.” This is the central philosophy of homeopathy – a substance that can produce symptoms in a healthy person can, in turn, cure those symptoms in a sick person. Think of a red onion, or better yet, pull one out and cut it apart. For many, the scent of the onion and its oils cause their eyes to tear up, even burn, their nose to run and even a tickle in their throat. In homeopathy a minute dose of onion, or Allium Cepa, may be given to someone who presents with these symptoms when sick – itchy, watery eyes, runny nose or even a tickle in their throat (think colds, allergies and hay fever). 2. Minimum Dosing – means that all homeopathic remedies are given in minute doses based on the notion that the lower the dose, the more effective the remedy. Homeopathic remedies are made from plants, minerals and animals. The homeopathic approach to healing is based on the Arndt-Schultz Law that small doses encourage life activity and do the least amount of harm to the body to encourage gentle healing (quite different than prescription medications). 3. Individualized – means that homeopathic treatment is tailored to each individual no matter if they have the same symptoms. Homeopathists consider the whole individual when crafting treatment plans. Women experience a wide variety of symptoms during the menstrual cycle and many tend to be bothersome. There may be homeopathic remedies to consider for some of the symptoms, especially those accompanying menstruation. It is important when considering homeopathic remedies to consult a homeopathist for guidance because there are thousands of remedies that can be used in any number of combinations, and there are a number of different dilutions or potencies of each remedy. 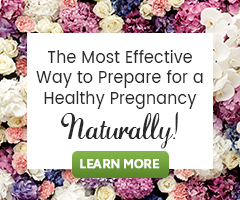 Also work with your healthcare provider, natural or medical, to understand and support the underlying issue that may be leading to any menstrual cycle irregularity and symptom you have. Note: If your symptoms persist for more than a week or 7 days or worsen, contact a licensed healthcare professional immediately. If you are pregnant or nursing, seek the advice of a licensed healthcare professional before using homeopathic remedies. Boericke, W. (2014) Boericke’s New Manual of Homeopathic Materia Medica with Repertory. 3rd. Revised Ed. B. Jain Publishers Ltd. India. Helios Homeopathic Pharmacy. (n.d.). A Basic Materia Medica – Booklet in in the Homeopathy Basic 36 Remedies Double Helix Kit. Kent, England.